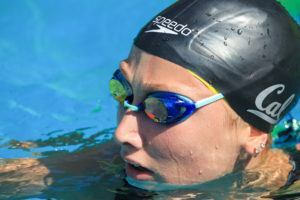 Cal’s Amy Bilquist is set to battle Stanford freshman Taylor Ruck, an Olympic medalist, in the 100 back. Stanford won their third straight conference title by a convincing 425 point margin over Cal, and there’s no end in sight to the Cardinal’s dominance. They return 1279 individual points, 403 more than next best Cal. Stanford’s seniors were their lowest scoring class with only 218 points. Each Stanford class out scored the classes older than it with the best group at the meet being the Stanford freshmen with 444.5 points. 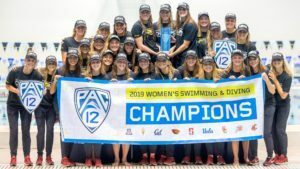 The race for second between USC and Cal or Arizona vs UCLA for 5th might be the team races to watch next year. Cal return 87.5 more individual points than USC and Arizona return 65.5 more than UCLA. Both bridgeable gaps with the right freshman class. Stanford’s lead was a little under 200 points entering the final day of the meet, but the 1650 did most of the work expanding the lead to the 400+ point final margin. Stanford scored 98 points in that event to Cal’s 0. Stanford out scored Cal by 338 points in the mile, 400 IM, and 500 free. They only outscored Cal by 87 in every other event combined. The highest single event point total was Stanford’s 168 in the 500 free (only 4 fewer than Oregon State’s total for the entire meet). 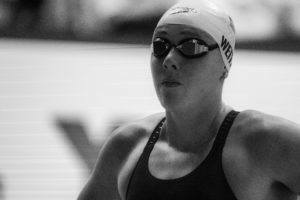 Next best was Stanford’s 151 in the 400 IM and USC’s 140 in the 100 fly. 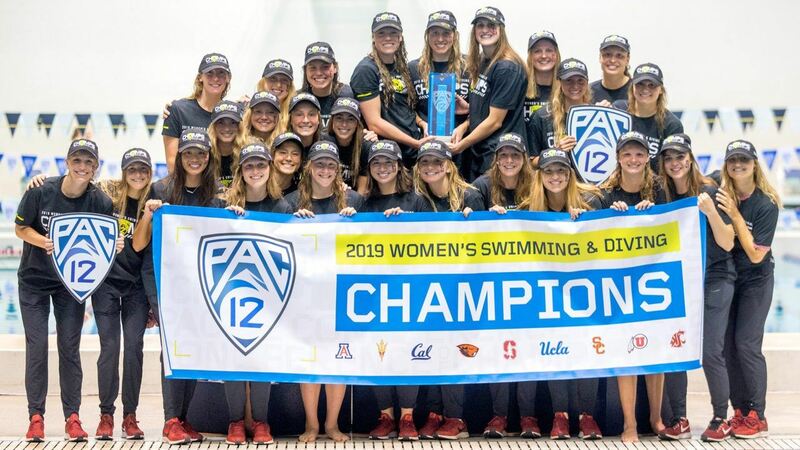 Individual scorers were led by triple event winners Ella Eastin (Stanford senior), Abbey Weitzeil (Cal junior), and Louise Hansson (USC junior). Cal senior Amy Bilquist was next best with 88. 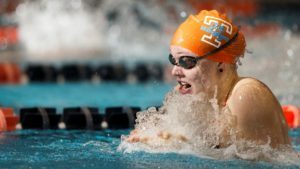 What is the maximum number of swimmers/divers allowed at the NCAA? Who does Stanford leave at home? So much talent. 18 is the max (with divers counting as 0.5). I’m not sure that Stanford has 18 qualifiers this year though. Several of the athletes are listed twice in the team scoring breakdowns. 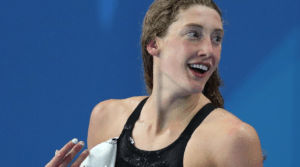 ie-Delaney Schnell from AZ and Stanford divers Sculti and Farnsworth are listed twice with their 1M results acting as a separate score, rather than all three events being credited in a single line (Stanford swimmer volpenhein has the same issue). It’s a solid breakdown, but misleading if not ready fully.